With over 15 years of experience in the DJ and Party industry, DJ Solo’s career began in his hometown – Brussels, Belgium. A versatile DJ, he has mastered the arts of Scratching, Beats-juggling and Video-Deejaying. His mixing ranges from Hip-Hop, R&B, Electro, House, Salsa, Reggaeton, Moombahton, Dancehall, Bollywood, Rai and more. DJ Solo has successfully produced over 15 Mix Tapes along with a collection of Party Breaks. After having reach high level fame and earning recognition for his technical skills throughout Europe, DJ Solo embarked on a journey to many countries and continents on a quest to achieve new experiences in his DJ career. Travelling through various places, he has been deejaying in the best clubs in over 20 countries, gaining himself the respect and popularity in the DJ and Party scene everywhere he goes. DJ Solo has collaborated with famous DJs/Artists such as DJ Cut Killer, DJ Craze, DJ Jazzy Jeff, DJ Q-Bert, DJ Cash Money, DJ Daddy K, Kelis, and more. 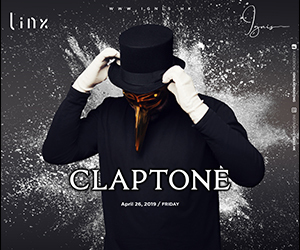 Currently, he is a resident DJ for Bangkok’s best clubs – The Bed Supper Club, where he rocks the widely known and popular Wednesday Night theme of “Models Night & Rumba Caliente” as well as making special appearances for Sunday night occasions. With a large number of demands, DJ Solo has been booked for exclusive parties in Luxemburg, France, Germany, Belgium, Holland, Spain, Morocco, Tunisia, Egypt, Dubai, Algeria, Turkey, Thailand, China, Hong Kong, Taiwan, Malaysia, Singapore, Sri Lanka, Cambodia, Burma, and Vietnam. On a continuous course of development, DJ Solo’s growing career sees endless opportunities to constantly attract and entertain all international party and music enthusiasts with satisfaction guaranteed.